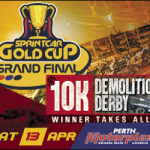 The Grand Final of the Perth Motorplex season this Saturday night is also the final of the Maddington Toyota Triple Crown – a mini series that rounds out the WA sprintcar season. This is on the back of the recently-completed Maddington Toyota Sprintcar Series that saw Jason Kendrick wrap up his second championship from Jamie Maiolo and Kaiden Manders. 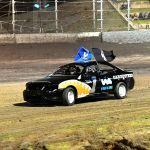 The first round of the series was held at Bunbury Speedway with round two being at the Motorplex on March 30 – on that occasion Daniel Harding took victory from Andrew Priolo and AJ Nash. As a result of his win, and a strong result in the first round, Harding leads the points on 284 points, just ahead of Kendrick on 282, Andrew Priolo 276, Jamie Maiolo 276 and Callum Williamson 260. A solid field is locked into the final show that will pay 150 points for the feature race win, 146 for second, 144 for third and two point reductions for each position after that – making the mini-series victory still up for grabs. Danny Porter is back from the Northern Territory for another showing in the NT9 – before he trucks his gear back home. 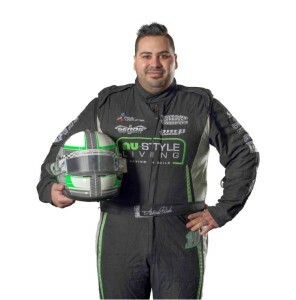 Priolo has had a couple of podiums this year but there is one thing on his mind – standing on the top step and the entire Priolo clan will be pulling out all stops to try and make it happen this weekend. Kendrick and Harding, being at the top of the points table, will both be pushing hard to end the season on a high. Jason Pryde will take plenty of confidence and speed into this show on the back of his strong feature race outing last time – charging from P16 up to seventh – a great result. Sam Borlini will be stronger for the outing after taking home 11th at the last show in the #24 entry. Taylor Milling continues to impress in a season that we have seen him race locally a lot more, and is no doubt keen to improve on his ninth placing at the last show. The always-fast Ben Ellement is back behind the wheel of the Muir Motorsport #53 after a short break and you can always be guaranteed he will put on a show. The same can be said for Shaun Bradford will be looking to make amends for his 10th placing last time. 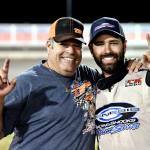 The third-generation sprintcar racer always sets himself high standards and won’t be settling for another mid-pack placing. Kaiden Manders is one driver who showed plenty of potential in the last round but it all counted for nothing after he was involved in an incident at the start of the feature race – leaving his car too damaged to continue. He will be a strong chance of taking another victory in the main division – after his maiden win at Collie on December 27. Todd Davis is a sprintcar journeyman, having raced in Limited and 360 Sprintcars and in the latter part of this season, he has ticked the boxes of also racing in the main division. This low-budget, but very experienced racer is very capable of claiming another strong result – he finished 13th at the last show from a P19 start. Robert Watson is another driver who has returned to racing in the latter part of the season and he is back after a heat race win and a 12th in the feature two weeks ago. Brad Maiolo, who has three feature race wins to his name so far this season, is a huge chance of another win if his form on March 30 was anything to go by – charging from P13 to fourth – a great drive. Tom Payet, Liam Dowling and Mitchell Wormall are three who didn’t go very far in the last feature race, watching most of the action from the infield – something that will be driving them for better results in this week’s finale. Daniel Hartigan is another young gun who has been mixing up his sprintcar racing in different divisions this year, and took another win in a different division last weekend. Jamie Maiolo started the season off with two early feature race wins and if things had gone his way, there could been a couple more. Maybe the LJM Racing pilot will be able to round out the season with another win – something he is very capable of. At the last show he started from P7, dropped to ninth at one stage and then ran seventh for a while before a late surge saw him finish fifth. Rounding out the nominations is 16-year-old Tom Callaghan who looked strong in his debut outing last time around. Don’t miss any of this action gates open 4:30, racing from 6pm.